Storm water runoff contributes to environmental flooding, erosion, and pollution. In urban or developed areas, storm water travels across pavement and parking lots, picking up dirt, oil, bacteria, pesticides, and other pollutants before flowing into nearby rivers and streams. Poorly managed storm water can also be destructive around homes and businesses. 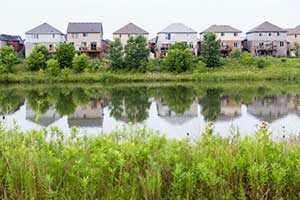 At Dirt Connections, we offer storm water management solutions to help protect the environment, meet regulations, and create security in your community. Dirt Connections offers a comprehensive selection of storm water management services, such as drainage analysis, storm water pollution prevention planning (SWPPP), and green infrastructure planning. We consider both traditional and non-traditional storm water solutions to meet the unique needs of our clients and project sites. We focus on providing cost-effective storm water management solutions from the planning stage through implementation. Our team at Dirt Connections serves residential, commercial, and industry clients in Virginia, Maryland, and Washington D.C. With more than 30 years of experience, we have the skill, knowledge, and equipment needed to successfully complete your project quickly and efficiently. As our communities continue to experience substantial population growth, water bodies are becoming increasingly polluted by runoff, making storm water management services invaluable. Proper soil development is often overlooked during landscape construction. If storm water is not properly managed from the start, it is common to experience significant drainage problems after heavy rainfall that can have physical and financial repercussions. Creating and implementing a drainage plan can help remedy common issues like soggy soil and standing water. However, it is also essential for long-term success to effectively control the water sources with a storm water management design. Not every project site has a single solution for managing storm water. At Dirt Connections, we begin with the design phase. While focusing on our primary goals, we create a strategy that meets our objectives while minimizing disturbance to landscaping and vegetation. 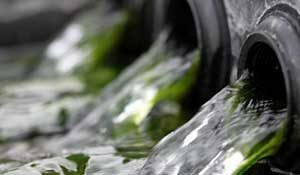 We also go through the necessary steps to meet storm water management regulations. Our engineers have experience identifying permitting and regulatory requirements from the start of a project. From start to finish, the engineers at Dirt Connections can design, build, evaluate, and monitor new or existing storm water systems. Our services are designed to help our clients solve problems, safeguard their environment, and remain in compliance. Our storm water management professionals have designed and implemented dozens of systems across Virginia, Maryland, and Washington D.C. Our experience and attention to detail has made Dirt Connections one of the fastest growing companies in the region. We understand the importance of keeping your project within budget and on schedule, despite obstacles like changing field conditions. To meet these hurdles head on, we offer a strong team and support staff who are respected experts in their fields. When you contact our office, a member of our team will discuss your needs and how we can help you reach a solution regarding your storm water management issues. No matter your location or challenge, we have the resources to meet your unique needs. Dirt Connections is proud to serve Arlington County, Fairfax County, City of Alexandria, Loudon County, District of Columbia, and Prince William County. We are licensed, insured, and ready to take on your project. Call 703-940-9949 today for a free quote.